“Those at Western Carolina and UNC Pembroke are still expressing concerns about the tuition and promised reimbursement, however. And others in the UNC system worry about parts of the bill that have received less attention but could still create a systemwide revenue squeeze. At Western Carolina, a major worry is that the state might not provide enough funding to make up for lost tuition revenue. The university’s lost revenue if the bill were to be implemented has been estimated at $26 million. Western Carolina and UNC Pembroke together would need $37-38 million, said David McCord, a professor of clinical psychology at Western Carolina and the chair of the university’s Faculty Senate. But faculty members have heard that funding from the state could total only $30 million for both Western Carolina and UNC Pembroke, McCord said. The numbers might work if the portion of the legislation capping tuition for out-of-state students is removed, but it’s not clear whether that is in legislators’ plans, McCord said. 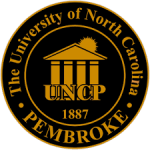 “Today, The University of North Carolina at Pembroke has approximately 6,200 students from diverse backgrounds. The University offers 41 undergraduate programs and 18 graduate programs. Many people have benefited from UNC-Pembroke’s academic programs and rich American Indian Heritage. This school has served and is still serving many 1st generation college graduates and sending out some NC’s finest teachers and Nurses into the workforce. Given the high profile removal that took place with respect to the three HBCU’s that were in the original version of the bill, it’s difficult to imagine that the General Assembly will push this proposal through to become law if significant opposition emerges at UNCP and Western.